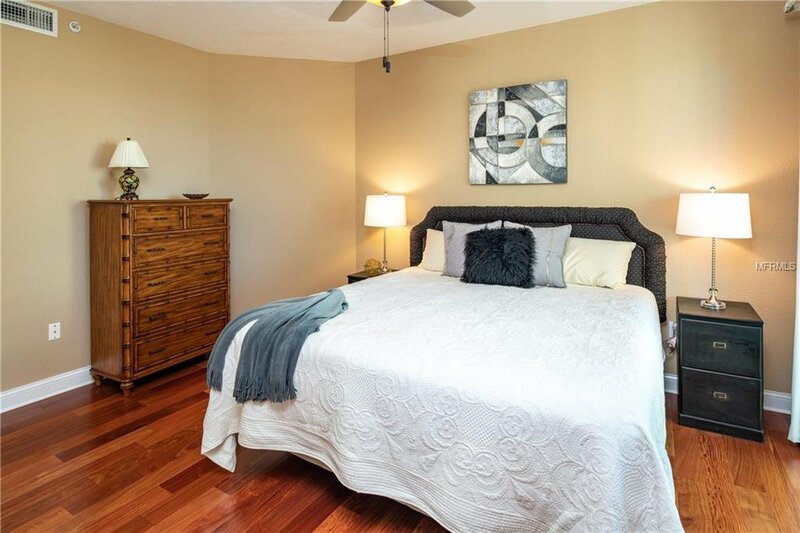 PRICED $155,000 UNDER RECENT APPRAISED VALUE. 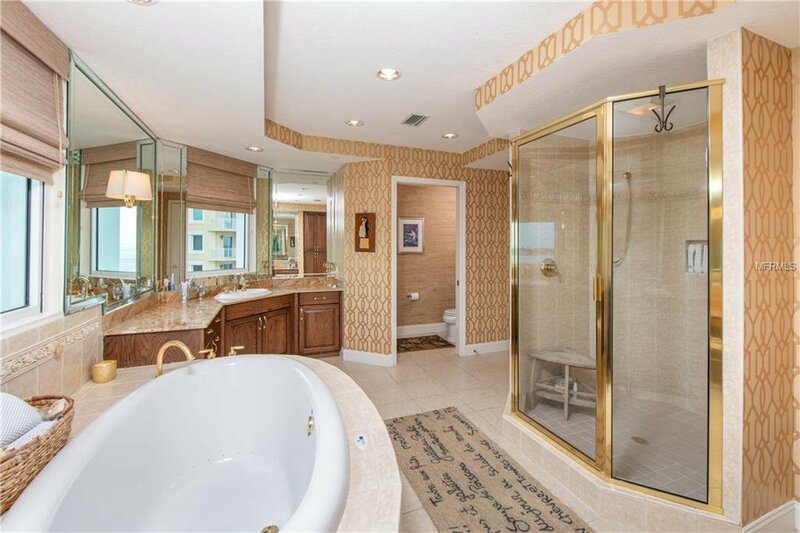 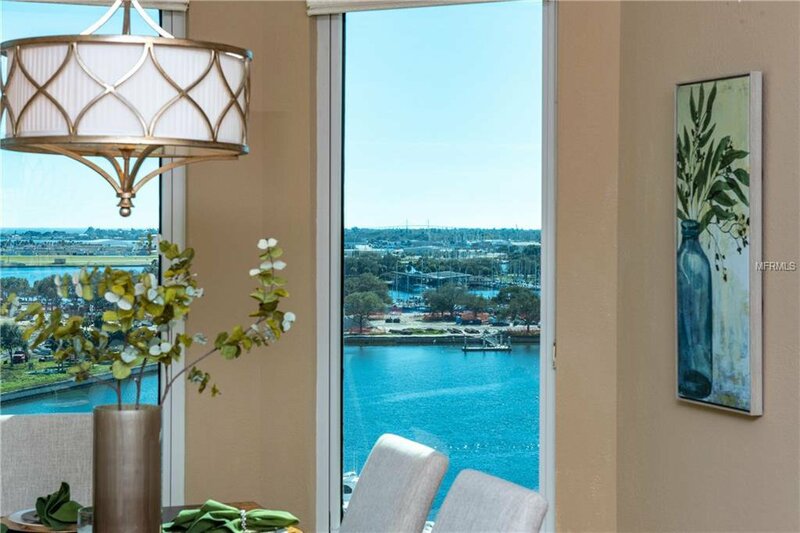 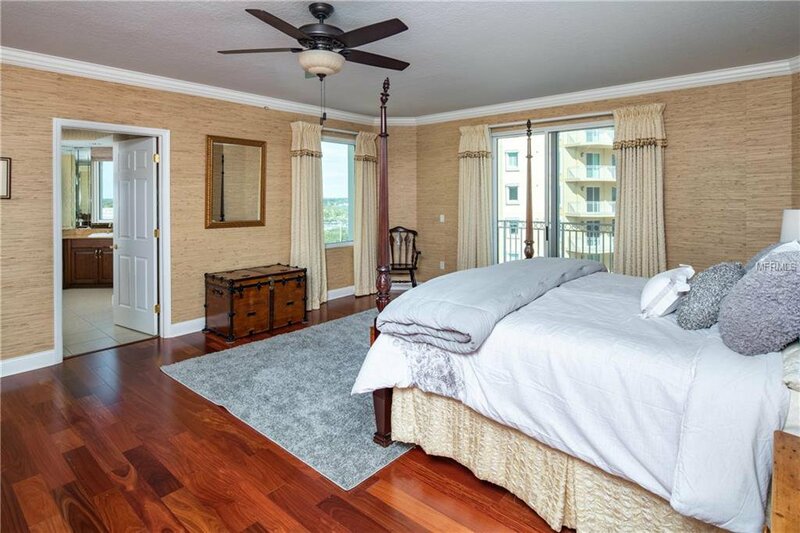 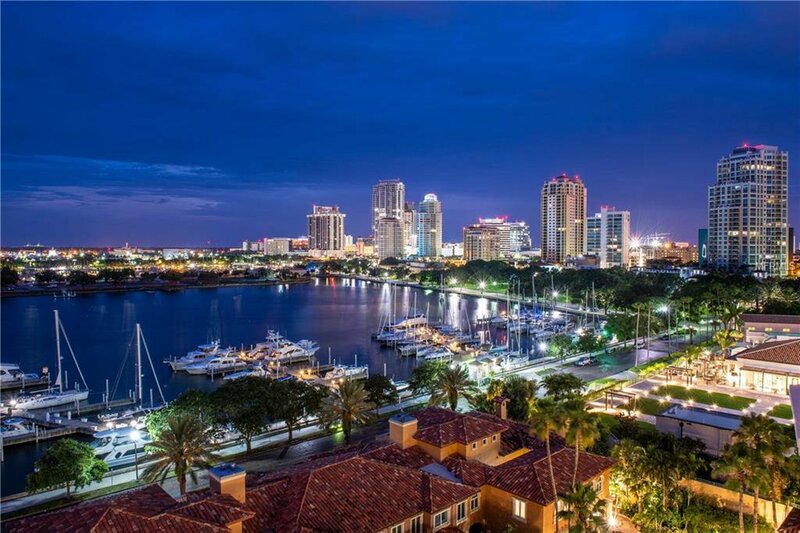 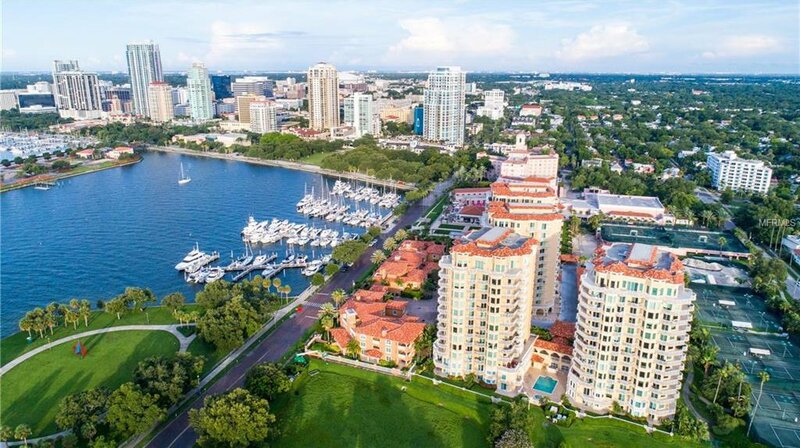 Open floor plan condominium at Vinoy Place in the heart of exciting downtown St. Petersburg with sunrise and sunset views! 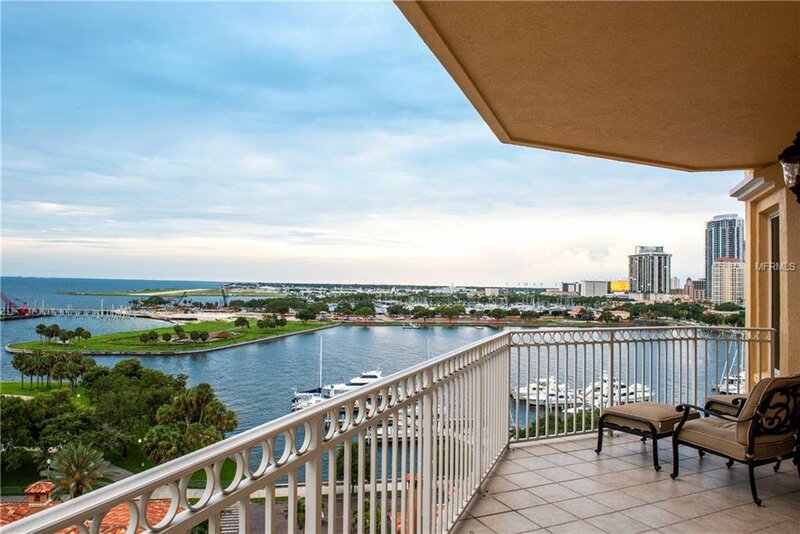 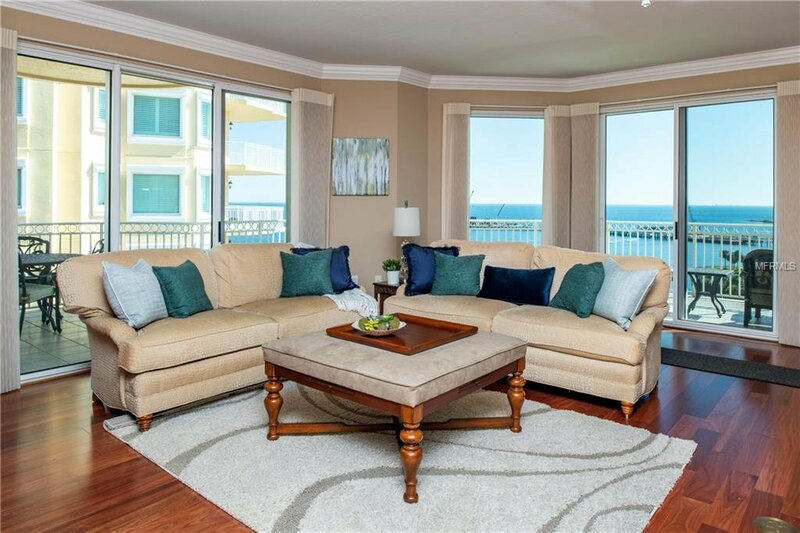 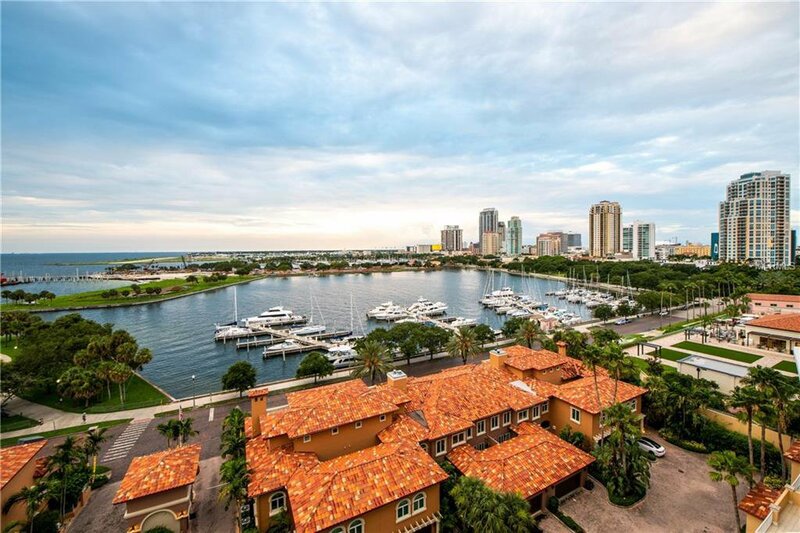 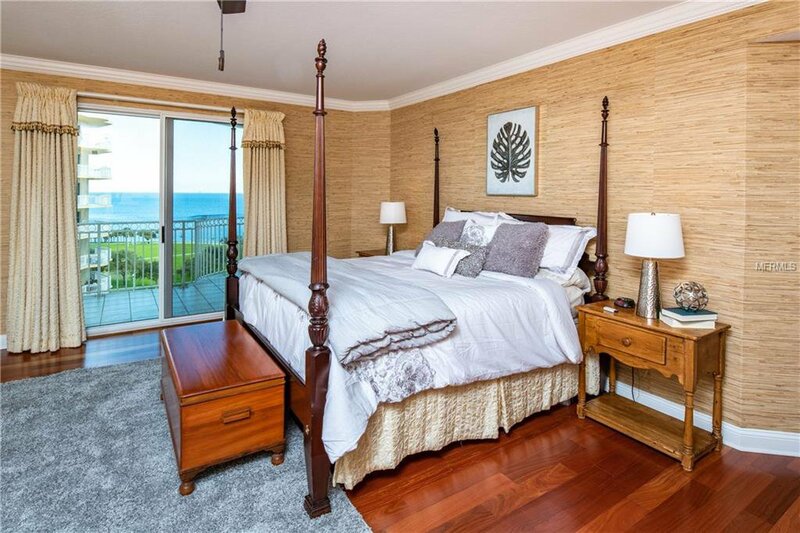 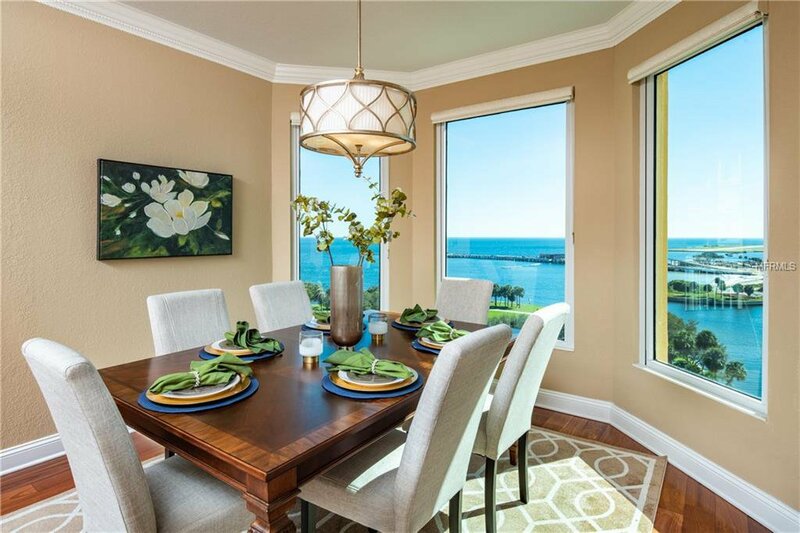 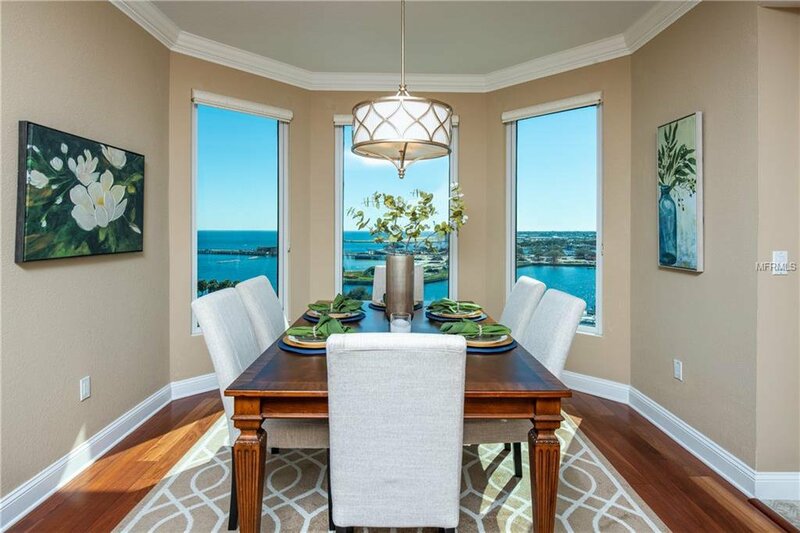 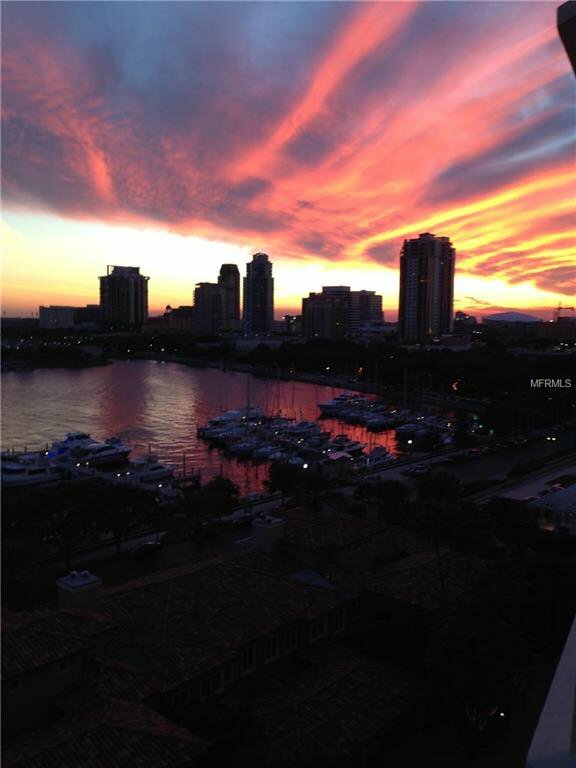 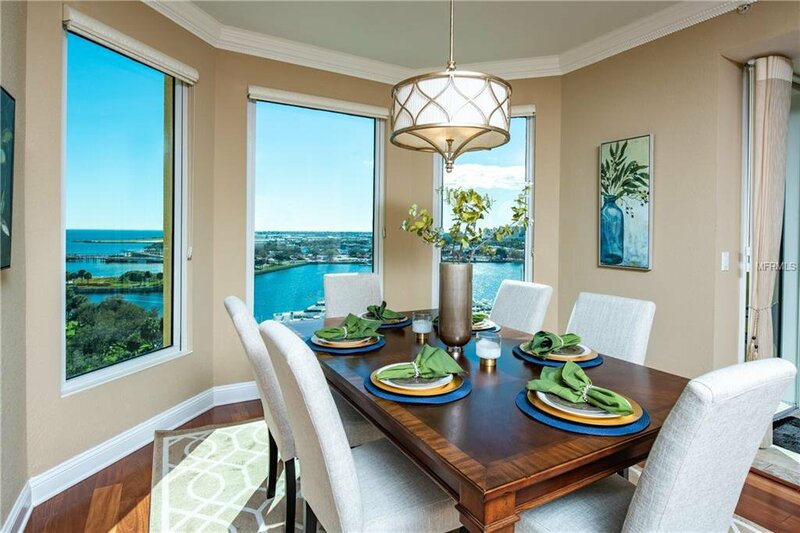 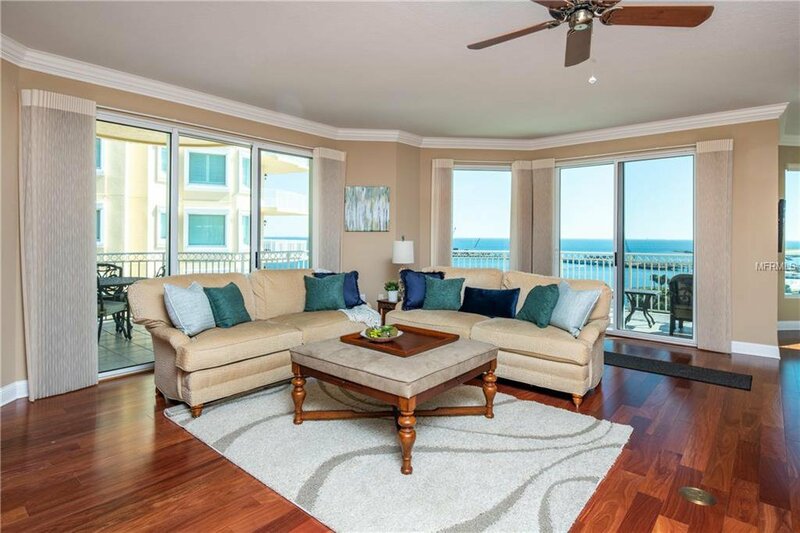 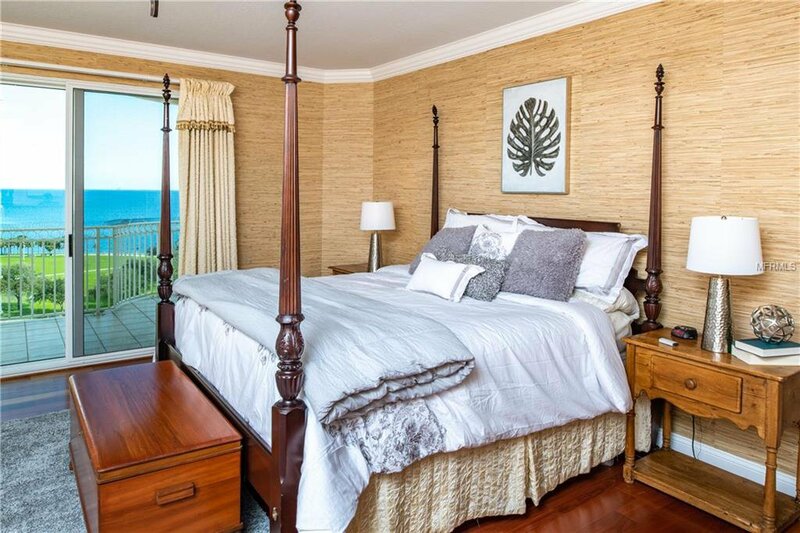 Unbelievable views of the water, downtown, the new pier, the marina and parks from THREE balconies! 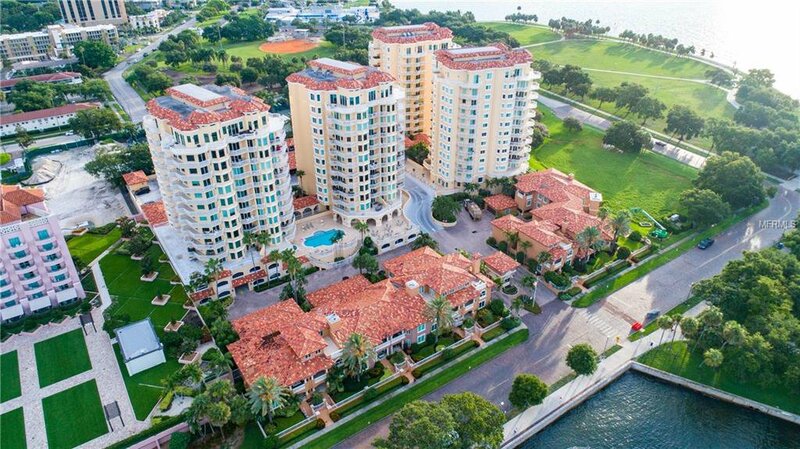 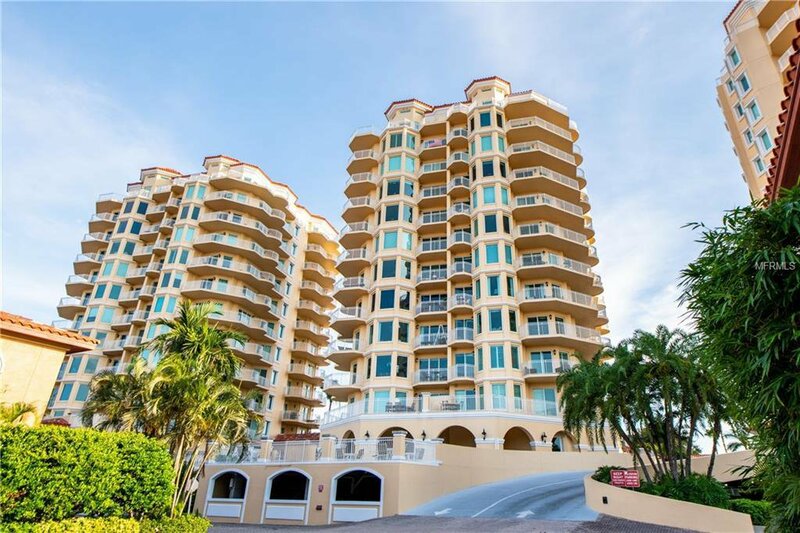 The Vinoy is the ONLY condo building with 24 GUEST PARKING SPACES. 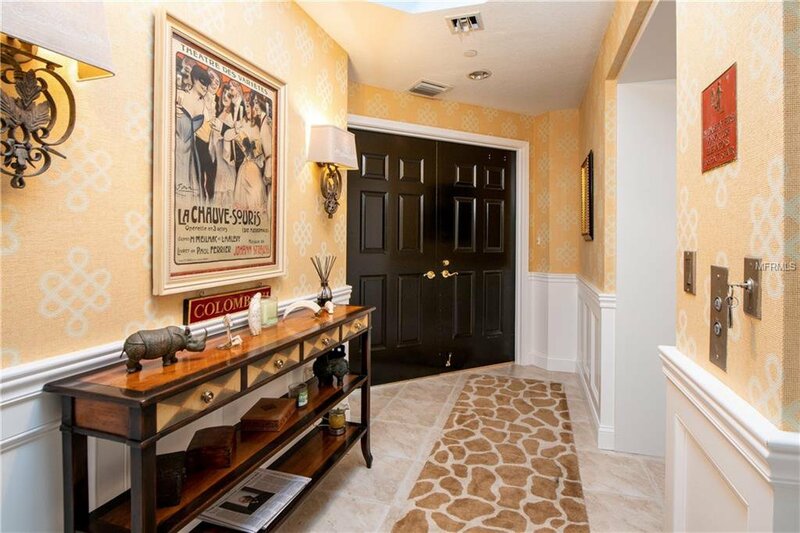 PRIVATE ELEVATOR AND FOYER ENTRY into the open living space. 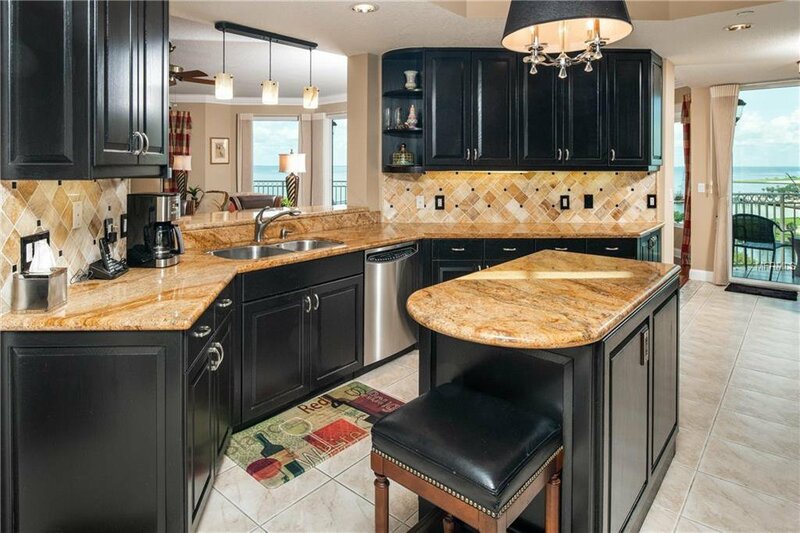 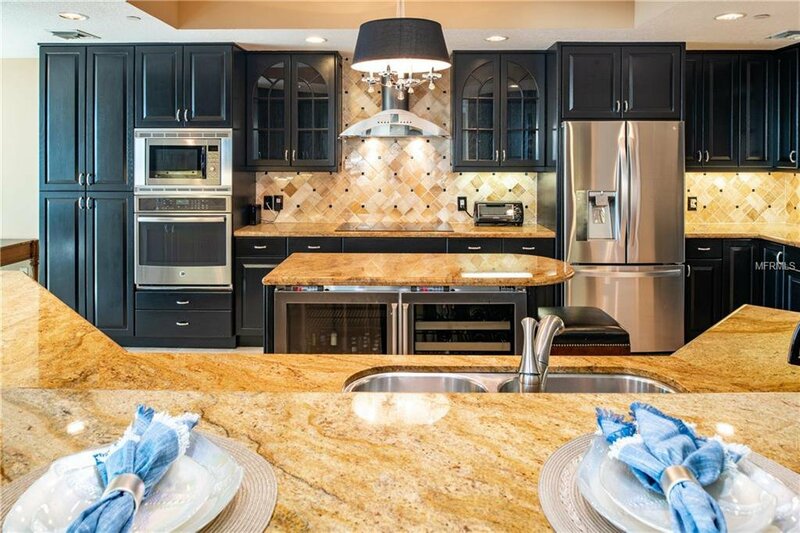 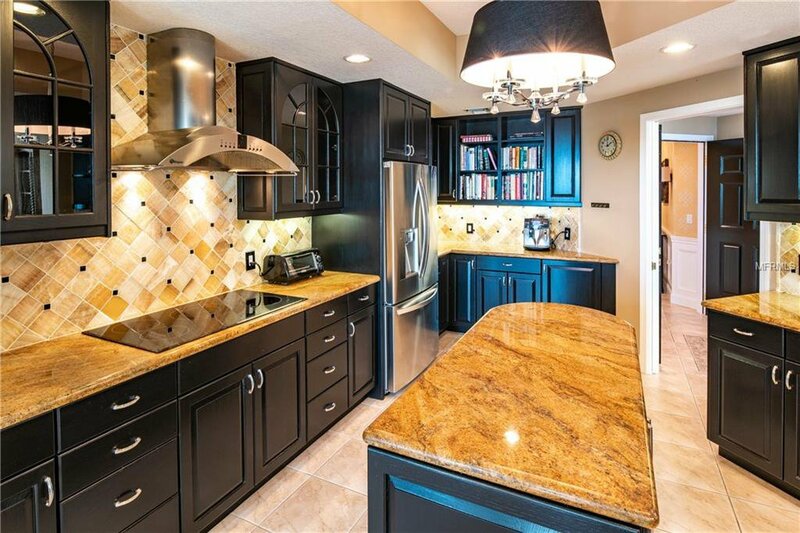 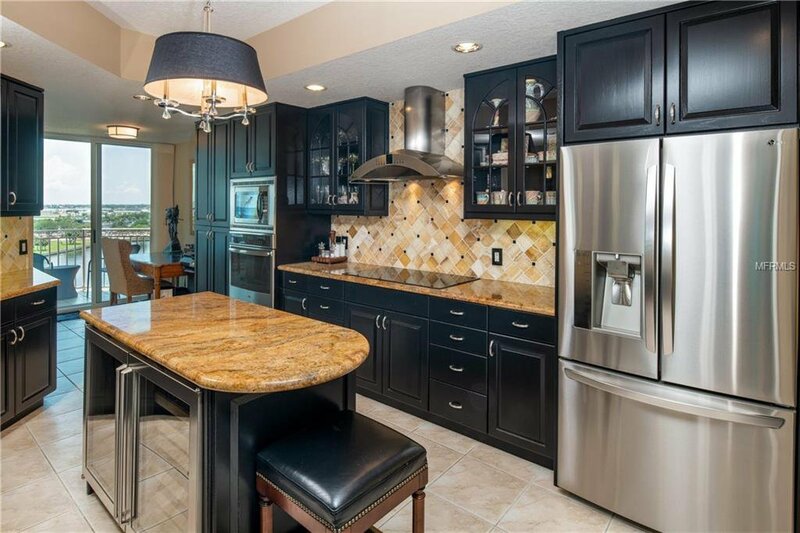 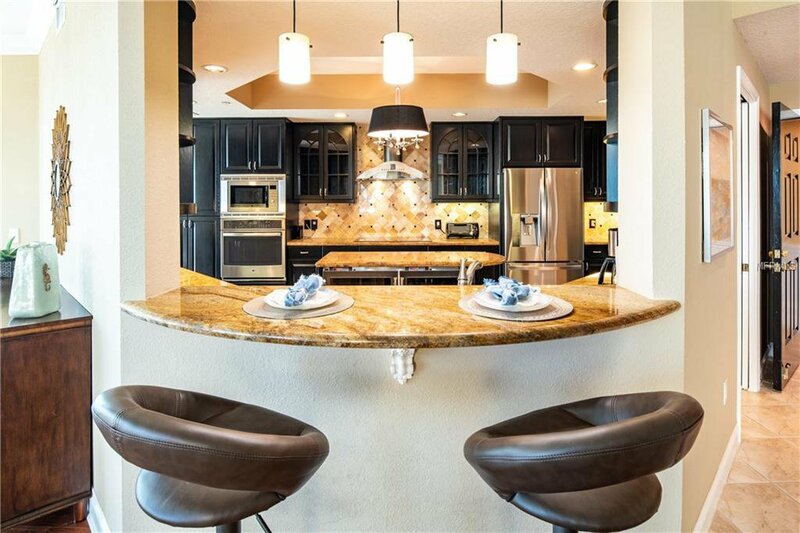 The chef's kitchen includes granite countertops, island seating, stainless appliances with two commercial grade beverage coolers in the center island, convection oven, induction cooktop, onyx backsplash, that opens into the living area adding to the openness of the floor plan. 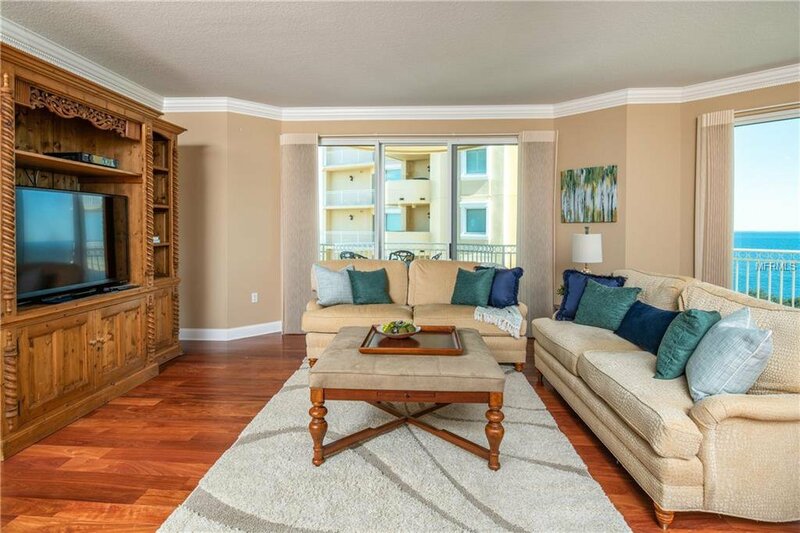 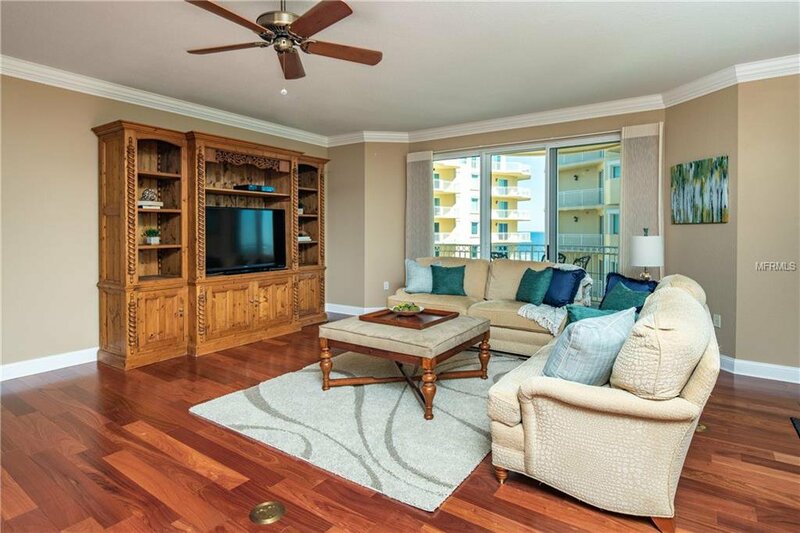 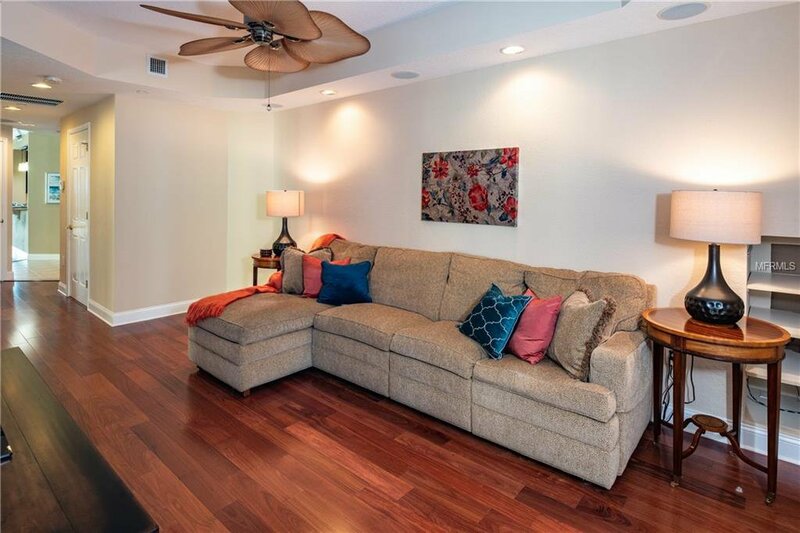 A spacious living area with newly installed rich mahogany floors and SEPARATE DEN offer both casual and formal living (or could be used for an office). 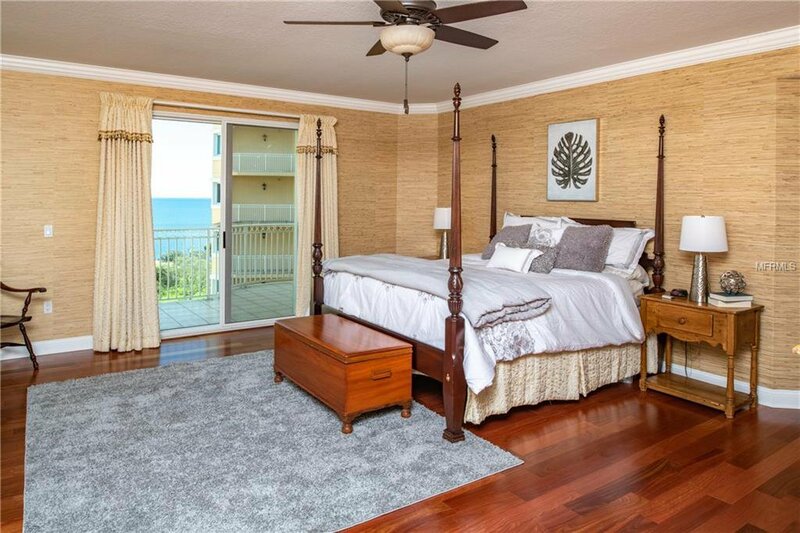 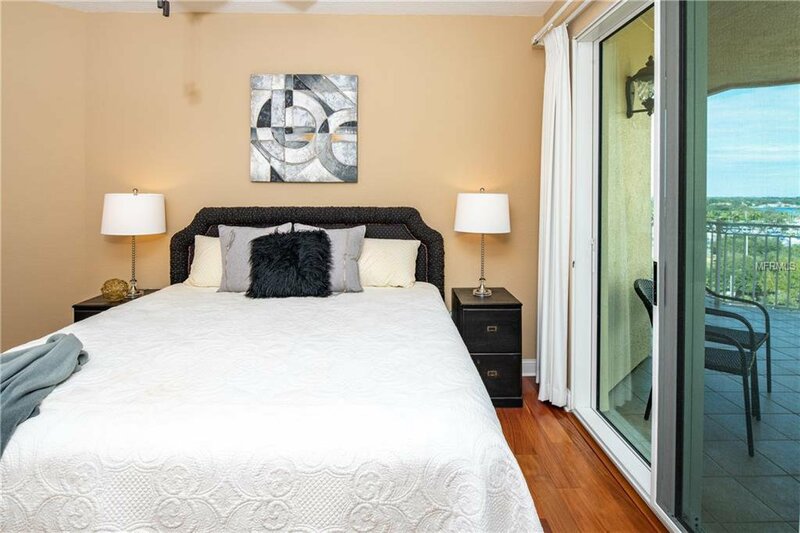 The split plan includes two guest bedrooms, a shared bathroom, and master bedroom suite all with mahogany flooring with balcony access, enormous walk-in closet, ensuite with two sinks and soaking tub. 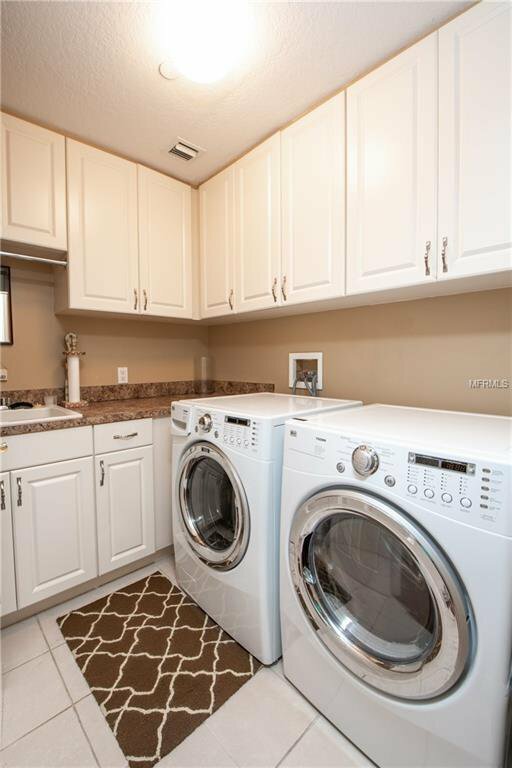 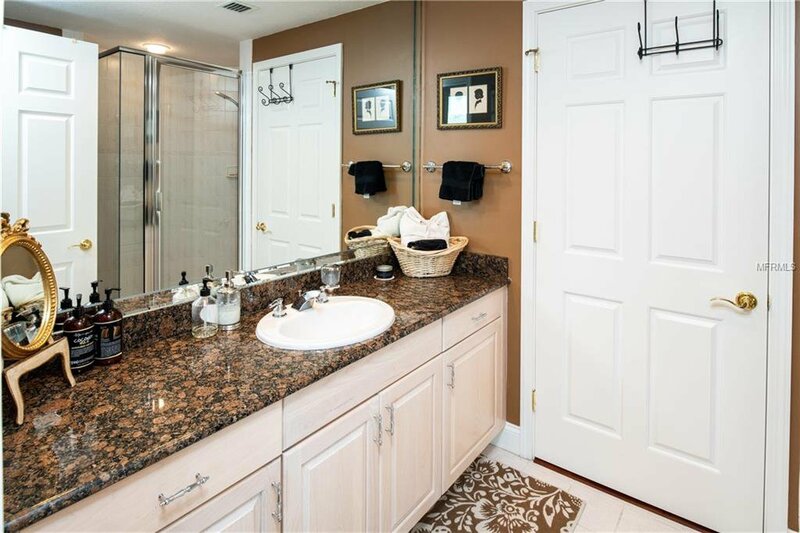 A spacious laundry room with sink and plenty of storage and half bath are conveniently located off the living area. 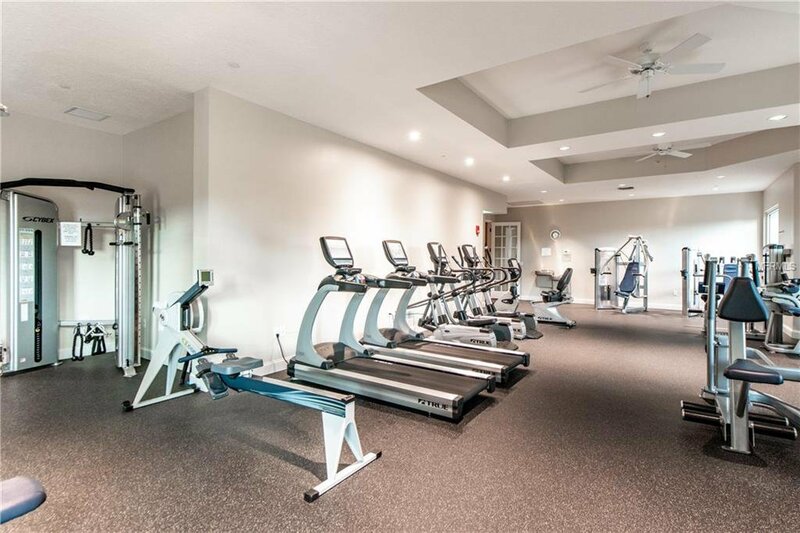 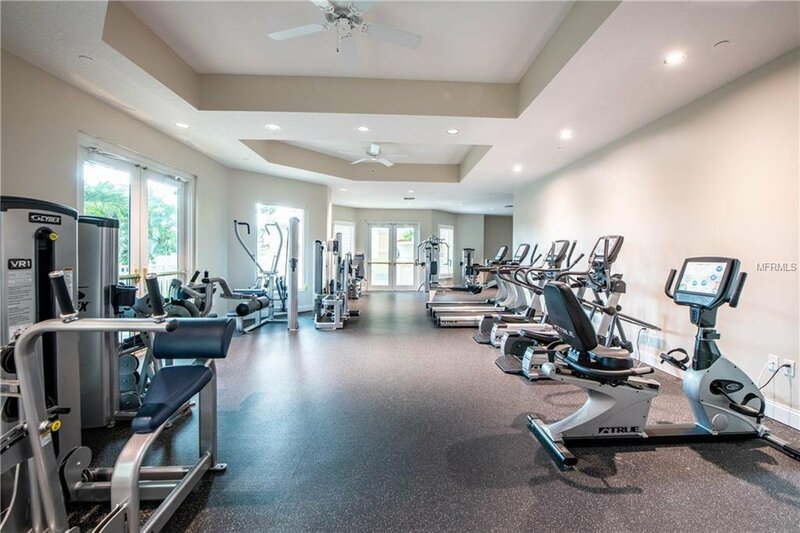 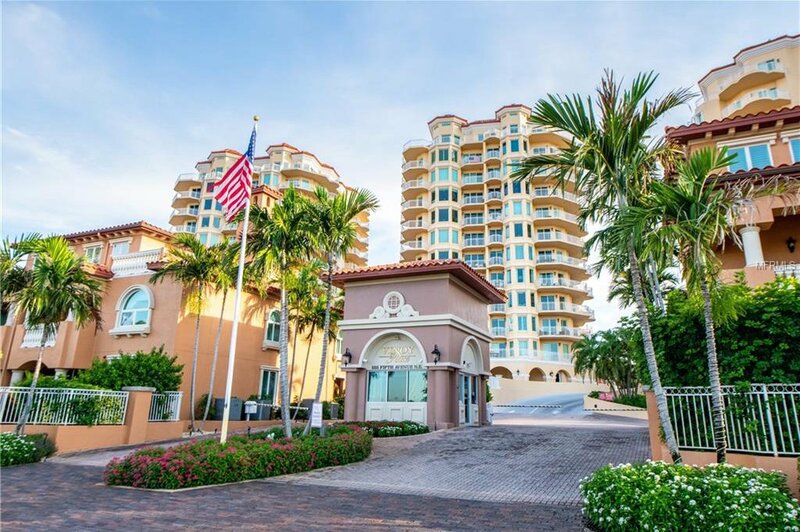 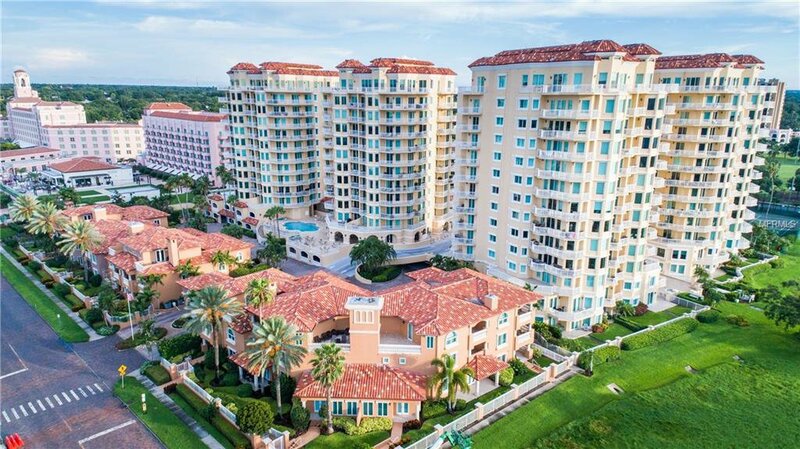 Vinoy Place amenities include 24-hour guarded security gate, TWO covered parking spaces, fitness center, billiard room and two heated pools, spas and entertainment room with catering kitchen. 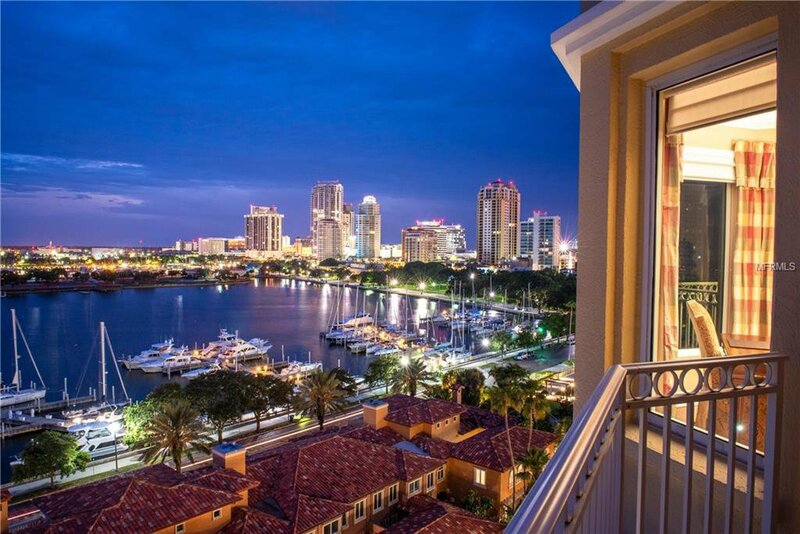 Premier downtown location in walking distance to restaurants, museums, shopping, and amenities. 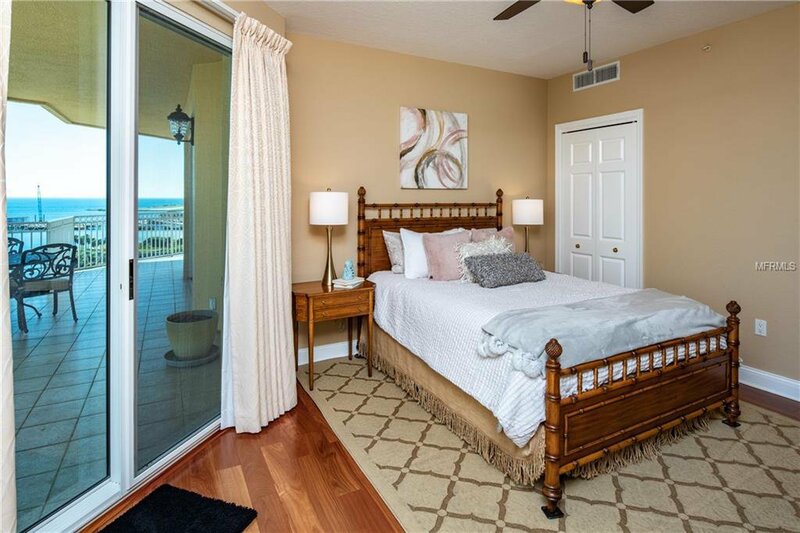 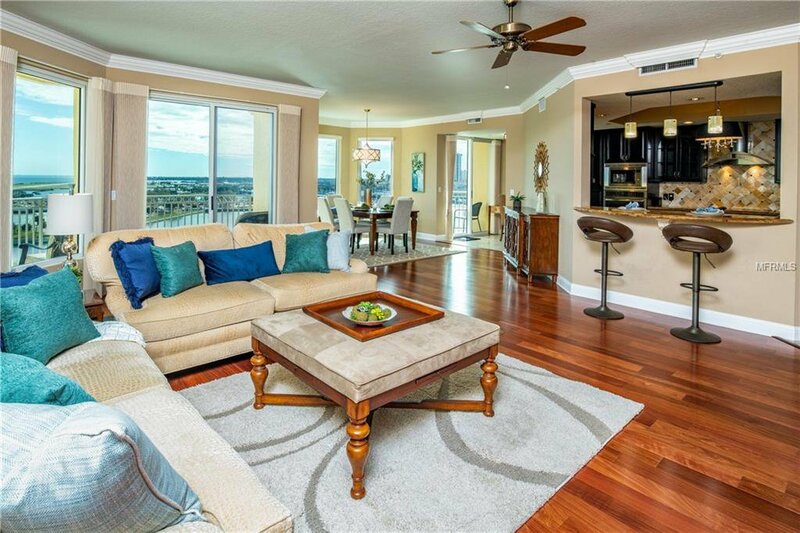 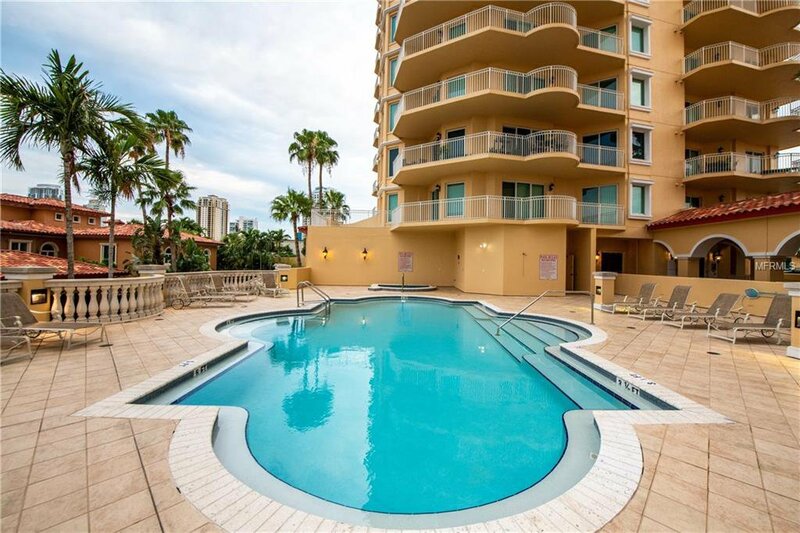 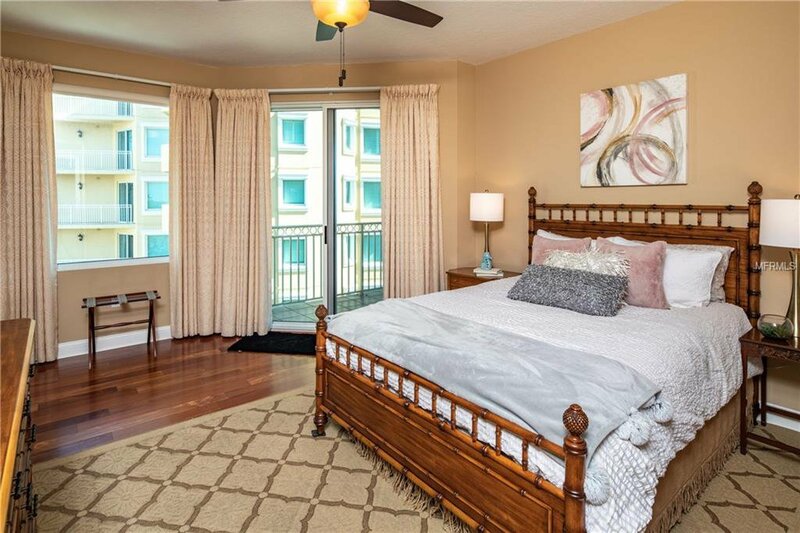 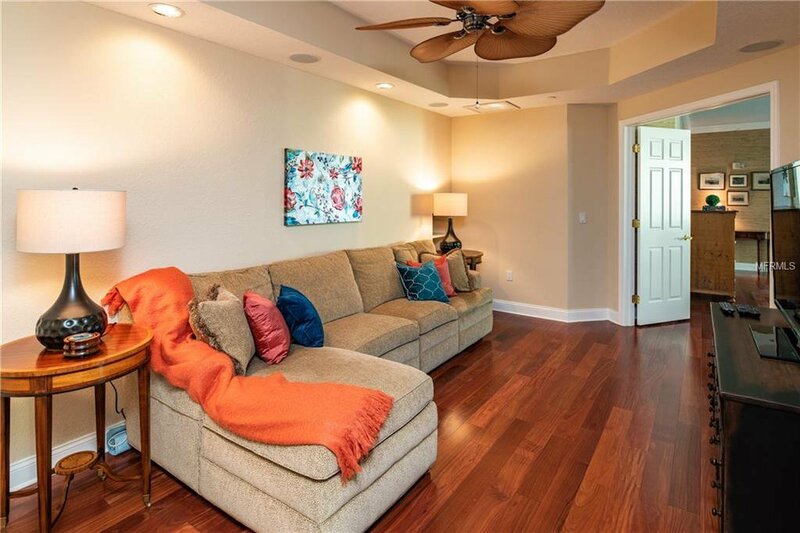 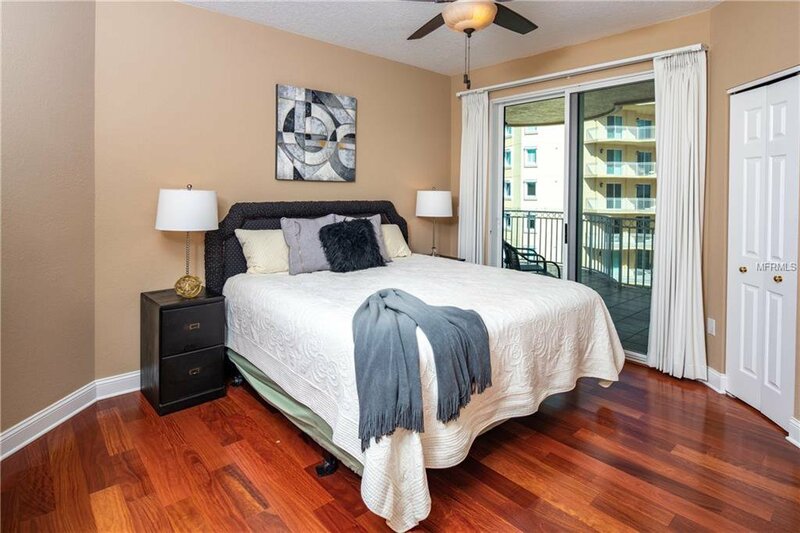 Easy access to I-275 and short drive to Downtown Tampa and Tampa International Airport.